As a sales leader, you understand the importance of defining a career path for your reps and helping them get there. We’ve already covered how to transition sales development reps to account executives, but now it’s time to help them take the next step. Before your AE moves into enterprise sales, they’ll need to spend time in both small business and mid-market — especially if they’ve transitioned from being a sales development rep. When you start your AE in small business, they’ll become proficient in closing deals that involve fewer people (with proper sales coaching from a leader). We know that in a small business, there’s only one or two people who can say “No.” And moving from small business to mid-market means both an increase in the number of employees and the complexity of the approval process. That’s why you need to prepare your rep to do more homework before getting on a call with prospects. They should research each of the people involved in the conversations, as well as the organization and its structure. Encourage them to sell at the VP-level in small business, so that when they move to mid-market and enterprise, they’ll already be familiar with speaking to employees in senior roles. In addition to more research, your reps moving to enterprise should talk regularly with AEs in mid-market and enterprise roles. Where did this prospect come from? What made you identify it as a good lead to pursue? How many people are involved in the decision process? How do you go about communicating with them regularly? What kind of research have you done on this company and the decision makers? How did you determine there was a strong use case for our product/service? How did you communicate the use case? It might also help your reps to speak more broadly to those mid-market and enterprise AEs about how their career evolved and they got into their current role. A clear certification process, where rep study for and are tested on specific sales skills, will also help reps prepare for mid-market and enterprise sales. Building certifications for each of these skills gives your reps a chance to step away from their daily activities and truly focus on refining those abilities. At the end of the day, the best way for your account executives to start selling to these larger markets is for them to just do it. Pair them with current enterprise AE’s to start. Then give them their own deals to work on (but be sure to train and coach them throughout the process). Every time they work on a larger deal, they’ll improve their skills. Now you’re ready to empower your account executives to be killer enterprise salespeople. Is your sales team scaling rapidly? Do you want to learn how? 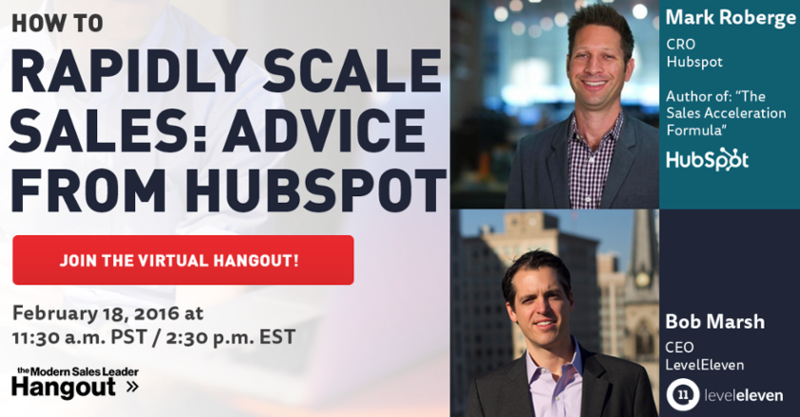 Don’t miss our upcoming discussion with Hubspot CRO Mark Roberge. As a sales leader, these sales coaching tips will help you transition SMB sales reps to mid-market and enterprise salespeople.